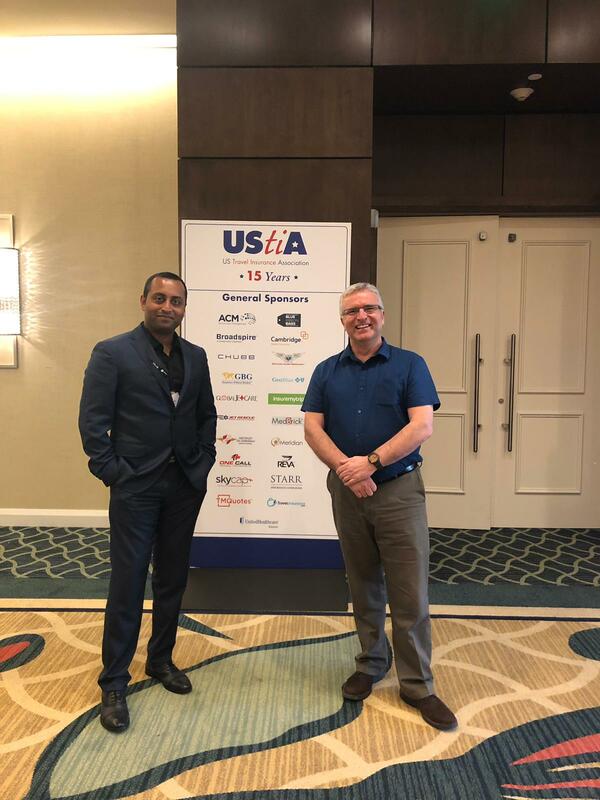 Pratheesh Kumar, Customer Solutions Specialist at Blink Innovation and Gary Andrews, North American Sales Lead for Blink Innovation are pictured at the UStiA Annual Conference in Orlando, Florida which took place from March 31st – April 3rd 2019. The US Travel Insurance Association’s mission is to foster ethical and professional standards of industry conduct, cultivate effective state and federal government relations, inform and assist members, and educate consumers. This association represents the nation’s largest travel insurance organizations. The mission is to foster ethical and professional standards of industry conduct, cultivate effective state and federal government relations, inform and assist members, and educate consumers. You can read more information on the UStiA here.